Welcome all, this is ARN's rolling blog covering the largest tech merger in history - Dell announcing that it intends to take over EMC and all its subsidiaries. Check back here regularly to keep up to speed on what Australia's channel luminaries have to say on the issue. To read ARN's initial coverage of the takeover, click here. When legacy products mature and lose their differentiating power, markets consolidate. This is what is happening with the Dell-EMC merger. It’s good for their investors, but it does not always deliver higher value to their customers and VARs. SimpliVity remains laser-focused in its commitment to simplify and transform IT. We continue to see a great demand for our products, and this merger does not change the competitive landscape. The same legacy products remain, only now from a combined Dell and EMC. As expected, trees are falling — but they are not falling on our path. Why EMC is being sold, and the benefits thereof is a very complex matter. For EMC storage customers, in the near term two to three years, I don't think this will make a big difference. In the longer term, who knows, given Cloud and the fact that large purchases like this often don't work out that well. Look at Symantic and Veritas, HP and Compac, for example. I suspect this is being driven by the need to improve "shareholder return", Tucci's departure and lack of a replacement CEO creating uncertainty, and Elliott Management seeking a return in the short term. EMC has a number of divisions, however storage is the biggest and oldest. EMC is the dominant player in external storage (aka SAN/NAS) with 30% market share - this is three times the other vendors! You would expect that EMC should be trading with some premium, however EMC's share price has been flat since 2001. On Dell's side, they have been trying to transform themselves from a PC company to an IT hardware and services company. While they already have storage, picking up EMC and VMware catapults them to the top and gives them a full service portfolio. Of course the two other big players, IBM and HP, are going the other way. So go figure? On the tech trend side, there is a move to "integrated systems" which favors getting the servers/storage/networking from one vendor, which suits the Dell acquisition. However, there is also a move to software defined storage (Vmware VSAN, HP) and hyperconverged (e.g., VMware EVO and Nutanix) which undermines the value proposition of the EMC SANs in the low end today, and in the high end in the future. Summary: I think this deal is largely driven by EMC investors demanding a better "shareholder return". 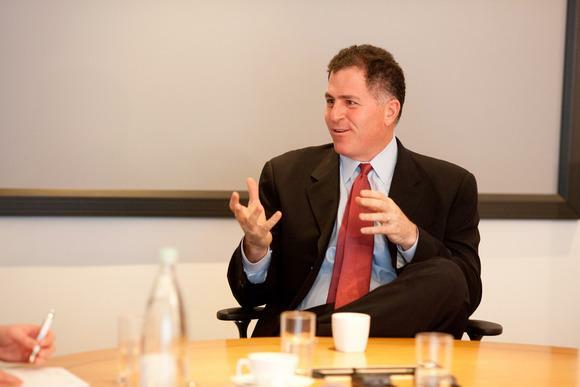 The long term value of this acquisition is uncertain and success highly dependant on Michael Dell's execution. "The rumours have been flying fast about EMC for 18 months or so, so I think most of EMC's partners and customers have been relatively well prepared for it. Dell has a fairly solid base in A/NZ, so there perhaps won't be as much disruption as there would be for EMC. "What does it mean for EMC's traditional business, especially storage? Right now, its business as usual, the deal hasn't actually officially closed. With VMware and VCE, there are still a few uncertainties there. "There will be some cannibalisation across Dell and EMC, but for the most part they operate in different channels. Both parties will be working hard to allay concerns for the channel. "There will be some big gains for some of the big channel players. Especially those that want to grow their high end capabilities. It is the biggest deal tech has seen for a long time. In terms of their main competition, HP is going through a lot of separation issues - how do they respond? In the short term, there is a competitive advantage to Dell and EMC's competitors. HP, IBM, Oracle's channel will be looking at how they can capitalise. "The channel will be looking for some sign of long term commitment from both EMC and Dell, some market certainty. "In terms of customers, they also need that reassurance that their high end investment is going to be protected going forward. It's a big risk for government investment right now - whether it's still viable past the next 12-18 months. They need to have good clear clauses in the contracts, licensing especially." Thomas Duryea maintains a 10 year history with EMC, and about 12 months ago, began investing in Dell. Thomas Duryea Consulting CEO, Andrew Thomas, said it had put in a lot of effort to align itself with Dell. “It’s good fortune for us to have tremendous strength on both sides of Dell and EMC. It’s the best of both worlds, we can’t be happier,” he said. "Since Dell went private, it has been very aggressive at paying down its debts. I think that EMC's cash flow will help with that." "Dell consumer will continue to do its thing, it generates about $27 billion a year globally." "Let's take Dell's server business, add it to EMC's server business, plus the VMware business and the RSA business, plus the data analytics business. You end up with an entity that's about the same size as the Dell consumer business." Does the channel need to stress about Dell's history as a direct seller? "I don't think so. Dell's not new to this game. They've been pushing servers up to the midmarket for the last couple of years anyway. They're well entrenched in datacentres, you see them sitting beside HP servers etc. There's about $9 billion of stuff there." Similarly EMC has its own channel, via Dimension Data, a few other like AlphaWest (now Optus business). "But what EMC does is it finally gives Dell that access to the C-suite they've long been trying to get in to. They want kit on the floor very rapidly - and that can be EMC or Dell equipment. Dell's storage in the midrange market goes from being minimal to a full enterprise capable suite. Then we add in VMware's hypervisor and virtualisation capabilities, add RSA security, and all the other stuff EMC's bought over the years. And you potentially have a really, really good portfolio to rival someone like an HP." "Compared to the size of the market, like services, for example, IBM, Fujitsu and HP are still miles ahead of the combined company in terms of revenue. The Dell-EMC combination goes to about number three in the Australian market. They leapfrog Dimension Data in the area of training and support services. "In terms of other areas including project base and IT outsourcing, they're still nowhere close, and remain behind DiData in Australia. The value prop is in the services play." Ujhazy doesn't think there will be too much in the way of job losses, as EMC and Dell don't overlap much. 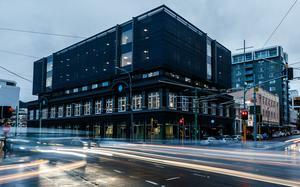 "EMC may still offer technical support to a customer like Westpac. Dell will still be there selling desktops to a Westpac. You will see some back office synergies, but it will be interesting to see if Dell maintains EMC's 'federated' model." "Overall, it's a positive for the channel. IBM has since moved on to being a services company, while Cisco and HP remain the big players in the infrastructure space. It's nice to have a third big player on the horizon. It's especially nice for those that had previously bought from them both separately, their enterprise and purchase agreements can now come together." "It will be interesting to see what comes up in terms of innovation. Someone has to have the infrastructure to supply CSPs, and Dell-EMC now appear to have that. EMC has always been great at chasing the big clients, like CommBank and government agencies - big deals that Dell wouldn't have got a look in." I think it's disappointing that Dell is rumoured to be talking about spinning Secureworks out in an IPO. The managed security service provider (MSSP) market desperately needs stability and long term commitment. My concern with Secureworks being ripped away from the stability of Dell is that it subjects Secureworks to quarterly demands, and places a huge pressure on profitability. These are two pressures that do not work well with the MSSP market. Customers will need the reassurance of a big company that's committed to a long term investment to take the step of faith towards engaging with Secureworks. I find it particularly surprising, now that Dell is about to get access to the expertise of RSA that will come with the EMC acquisition. There are a number of technologies, and professional service capabilities that RSA has that could have really worked with the Secureworks portfolio. However, there is still a very interesting possibility for identity management software, as the capabilities of RSA, plus the Dell software portfolio including the portfolio from the Quest Software acquisition (in 2012). I never really got what Dell was doing with their identity management capabilities, despite the satisfaction that a number of Quest customers had with their software, but with the right leadership, this could be a very powerful option. I think that Dell really could challenge Oracle and IBM in the identity space. Given how unpopular Oracle is, and how morale at IBM here in Australia is exploring new depths, the market seems ripe for a strong contender. "As EMC and VMware's premier partner in Australia, having been recently named the APJ Partner of the year for both companies, we see the merger of EMC and Dell as a potential opportunity for our customers to benefit from world class integrated solutions. "Infront has partnered with EMC, VMware and Dell for more than 10 years. We expect these partnerships to flourish under the merger as many of the commercial conflicts we have seen in the past should be removed. However, until we fully understand the new structure and GTM models, including partner programmes, we can only guess as to the impact on our current business. "Infront has invested heavily in building out its managed Cloud and advisory practises to help our customers realise the full benefit of hybrid Cloud. This transition to a hybrid model relies heavily on best in class integrated solutions. We feel that the merger of EMC and Dell will help customers transform the way they build, consume and manage IT." "I am thrilled to let you know that Dell has announced a definitive agreement to acquire EMC, including a controlling interest in VMware. The combination of Dell and EMC creates an enterprise solutions powerhouse bringing you industry-leading innovation across your entire technology environment. Our new company will be incredibly well-positioned for growth in the most strategic areas of next generation IT including digital transformation, software-defined data centre, converged infrastructure, cloud, mobile and security. We are extremely advantaged by having a foundation to build upon that features two of the world’s greatest technology franchises with leadership positions in Servers, Storage, Virtualisation and PCs. The company will be financially strong. We are bringing together Dell’s strength in small-business and the mid-market with EMC’s strength in large enterprises. Together, we can serve you better and fuel innovation across our end-to-end portfolio of solutions and across customer segments to generate significant cash flows. In fact, the expected revenue synergies of our combination are three times the cost synergies. This union is all about opportunity, growth and innovation for us and for you. We will be positioned to meet our obligations and continue to invest for the long term success of your organisation. Being privately controlled will provide the same freedoms that Dell enjoys today. The freedom to invest in a future that lies beyond the next quarter. The freedom to pursue a consistent technology strategy. The freedom to accelerate our innovation. The freedom to streamline decision making and eliminate onerous processes. The freedom to have 100 percent customer focus in everything we do and to let what’s best for you be our only motivation. Dell and EMC are both companies that have a demonstrated ability to win in fast-changing markets, and that will only accelerate from here. This structure is a great platform for continuing to incubate our most promising solutions and elevate those capabilities for the benefit of our customers and partners. Together, we will accelerate the pace of customer-driven innovation. Being privately controlled, along with our investments in R&D and innovation will give us unmatched scale, strength and flexibility to help you achieve your goals. I am excited to work with the EMC, VMware, Pivotal, VCE, Virtustream and RSA teams, and I am personally committed to the success of our new company, our partners and above all, to you, our customers." "This deal is expected to accelerate VMware’s growth across all of its businesses through the increased opportunities to benefit from synergies with Dell’s solutions and go-to-market channels. VMware will benefit from the operational agility that comes from our majority shareholder being privately controlled and from being part of one of the top three transformational IT companies in the world." I've had working relationships with both Dell and EMC (he was EMC's general manager from 2002-2011), and I think you'll find there's a surprising cultural fit. There's a big similarity in their culture, they both have similar sales engagement models - big, hairy, audacious sales guys." EMC shareholders will be very happy, he said, but there may be some ongoing concern about the debt taken on board as part of the transaction - $US50 billion of the $US67 billion sale price. "Doing a rough balance sheet analysis, i'd say that they have about $10 billion in hard cash - and most of that's in Ireland, so it won't be easy to get back." For the Australian channel, he believes partners don't need to panic yet - it will be at least a nine-month integration cycle. "It won't happen rapidly, so partners can take a deep breath and make a value judgement. It will definitely be a catalyst to the other vendor organisations about what they do – such as Netapp, and Citrix. Take a deep breath, this is not played out yet." "I’d make as much money between now and Christmas. Then wait and see. Have a think about what the future look like, reevaluate what you want to do." "For resellers, it will be a good thing. A lot of courtships will be starting, existing relationships questioned – they will be courted quite ferociously by the other vendors, such as Lenovo and Huawei. So get ready for that." Henderson believes that the new entity will lean towards a more direct sales model. "Dell already has what? 12,000 sales guys? They are trained for direct, so the channel model will have to evolve." And how will Dell/EMC's rivals react? HP, Cisco and IBM will have to react, they can't stand still. This is now a massive conglomerate that challenges their business. EMC has most of the top Fortune 500 as customers – so that changes the dynamic for Dell. They aren't just buying technology - they're buying a huge customer base." They will rapidly to have opportunities to expand, and make new approaches to the enterprise. And yes, this Will flow down to ANZ." 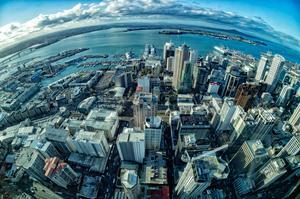 We still don't know which A/NZ MDs will go where, we don't know which offices will be where. It's hugely destabilising for all their employees." "Yes Michael Dell talked a lot about synergies, cost effectivenesss – all gobbledigook, for 'there will be cuts." "What's their employee based? 280,000? Even a 10 per cent cut is 28,000 people. That’s huge." Henderson also believes it will be the end of VCE - Dell will almost certainly look to put its own hardware into the arrangement, displacing Cisco et al. Subsidiaries such as Pivotal and RSA also have big question marks. "Will they be integrated, or spun off? They may look to integrate RSA into Secureworks." "I lot of people say the weakness with the deal is that there's no Cloud powerplay – but all the hardware and software pieces of the jigsaw puzzle are there. This is actually one of the key attributes of the deal. Especially if vCloud or something kicks off, then they can take aim at Google and Amazon's client base." Sheedy believes that the new entity is a good thing, and will provide a more end-to-end player once the integration of EMC is complete. Like Wayland, he believes that the new company will give it far more reach into even bigger enterprise clients - but the question will be whether it moves to a more direct sales angle, which could challenge the Australian channel. Read more ​As tech reliance grows in business, how can the channel capitalise? "It's a statement of intent, they're saying 'we want to be as big as HP and IBM', it also challenges companies like Cisco - not necessarily in their core business, but in their emerging businesses." He believes that HP would argue that they are far ahead down the same road, having already made most of the hard decisions regarding their structural separation. "IBM would argue they're 10 years ahead of both of them." One of the big questions he poses to Dell is why they've keep their end user computer business. "Will they sell it up to Lenovo or someone else?" He believes that both EMC and Dell are strong players in Australian market, perhaps more so than other territories, so the effect may be more pronounced. "I haven't seen the stats of market share here vs other countries, but I believe their market share is bigger here than in the US. The impact will be felt here as much as anywhere – if not more." Overall, he thinks its a good idea, and that Dell has 'Futureproofed' itself. "From the customer perspective, its another big organisation that is good at handling infrastructure hardware and software. "There are not enough big firms to rely on to do hardware/software and overall strategy. All you used to have was HP and Cisco moving into that area. This gives customers another option in that space. "Whereas once you had HP vs Dell and EMC vs IBM. With the merger, its now them vs Google and Amazon. All of these companies have to get bigger and stronger and broader, and more relevant in the market to compete with those guys." "The consolidation we're seeing in the market is part and parcel of the industry at the moment. The acquisitions we've seen across the last year will continue unabated." Wayland told ARN that, with any merger, especially of this size, risk is involved. "It depends on how the integration goes - both companies have very different cultures." He believes that the merger gives Dell and EMC a real big reach into the enterprise, and that Dell's renewed channel focus has been intensifying. "I think a lot of people in the Australian channel are surprised at just how sophisticated Dell's partner focus has been lately. They've been doing a lot of training, especially in their sales organisation." "But remember, while the ownership has changed, the reality is that customers still need to by stuff. This won't make any changes to their purchasing decisions. Nothing will really change much short term, it will be interesting to see how the focus changes once we look at long term strategy." Wayland also believes that it will be interesting to see how job cuts bite, if there are any, especially after the huge cuts IBM and HP went through with their restructuring - key rivals. ARN Hall of Fame inductee and VMware channel boss told ARN that his team was briefed this morning, but there are no firm details as of yet "we probably know about as much as you do." With VMware's vForum kicking off next week, he said it is an exciting time for VMware, and that business will continue as normal for the foreseeable future: "Although we did see a marked uptick in registrations from EMC and Dell partners."